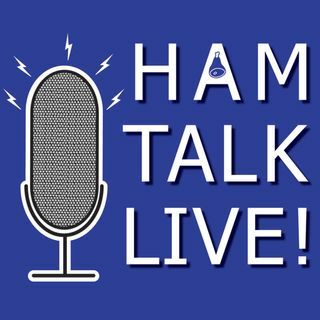 Episode 118 - WRTC 2018 Competitors: From the NCJ | Ham Talk Live! The editor of the National Contest Journal, Dr. Scott Wright, K0MD, and deputy editor Dr. Fred Regennitter, K4IU join us to talk about the human side of the World Radiosport Team Championships... the competitors! In the May/June issue of the NCJ, Scott and Fred interviewed many of the team members, and we will talk about what they learned from their interviews and things that didn't appear in the article. They will take your questions LIVE as well! Be sure to CALL in with your questions ... See More and comments by calling 812-NET-HAM-1 live during the call-in segment of the show, or by Skype. Our username is hamtalklive. You can also tweet your questions before or during the show to @HamTalkLive. If you're NOT a current subscriber to the National Contest Journal, here is your chance to win a FREE subscription for a year! You have until June 14 to answer the question from this episode on Facebook, Twitter, or Instagram. Or, if you don't have any of those, email it to contests@hamtalklive.com. We will select someone from those with correct answers as the winner on June 14. Current NCJ subscribers are NOT eligible! Q: What brand of radio is Martin, a German, using for WRTC?